The IDx concepts may never see the production line. 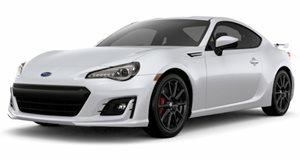 Ever since Subaru and Scion/Toyota launched the BRZ/FR-S twins a few years back, competing automakers began to suddenly consider small, affordable RWD sports coupes of their own. So far, nothing has come to fruition. Granted, sales of the BRZ and FR-S haven’t been the greatest. Perhaps that’s partially why Nissan hasn’t decided whether or not to build a production version of its IDx Freestyle or IDx Nismo concepts. In a new report from Wards Auto, Nissan’s VP of product planning, Pierre Loing, has admitted that an affordable RWD coupe is "not easy to do, (and) if you do something like this and you manage to do a vehicle at a (low) price, what else would you do on this platform? Because frankly to do a platform for 50,000 or 60,000 (units) a year – it’s not worth it." However, Nissan’s executive vice president, Andy Palmer, previously mentioned that a production-spec IDx could be ready to go as early as 2016. Loing disputes that, claiming Nissan still hasn’t decided what to do. What is for certain, however, is that the car won’t be ready by 2016. 2017 Subaru BRZ Review: Is Really The Same As The Toyota 86? Unfortunately, a week with the BRZ taught us that speed isn't one of them.